How to Recover Data from iPhone Xs Max and iPhone Xs? Apple has released the brand new iPhone Xs Max, iPhone XR and iPhone Xs today. Between the three, iPhone Xs Max gets more concern. The major difference between the iPhone XR and the past iPhone series is the larger screen of the iPhone Xs Max. Of course, you need to pay more to get an iPhone Xs Max - $999 for the 64GB and $1149 for the 256GB. The new iPhone Xs Max is so expensive, you must be panic if you lost your important data on it. Well, don't worry, for we have good solutions here to help you recover lost, deleted and even formatted data from an iPhone Xs Max, iPhone Xs or iPhone XR. Coolmuster iOSRescuer (with its Mac Version) is a full-featured data recovery utility for all iOS devices (iPhone, iPad and iPod). 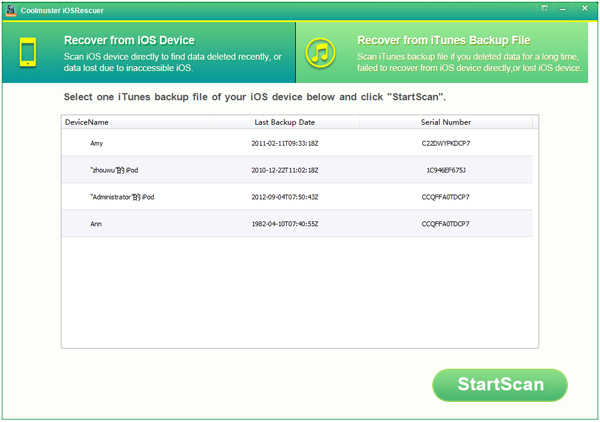 It offers two recovery methods to help you get back what you need: Recover from iDevice directly & Recover from iTunes backup record. That is to say, you can choose to recover lost data from your iPhone Xs Max or iPhone XR directly, and even can help you recover data from lost or stolen iPhone as long as you have ever synced your iPhone Xs Max or iPhone XR with the iTunes before. Apart from iPhone Xs Max, iPhone Xs and iPhone XR, previous iPhone X, 8, 8 Plus, 7, 6, 5 are also supported. Choose "Recover from iOS Device" option from the primary interface and click "Start Scan" button, then, the connected iPhone Xs Max or iPhone XR will be detected by the program. All the recoverable file types are listed on the left side menu. Choose the data categories you want to recover from the left, and the program starts to scan your iPhone to find out all lost files. Then, you can preview all scanned out data and tick off those you need. 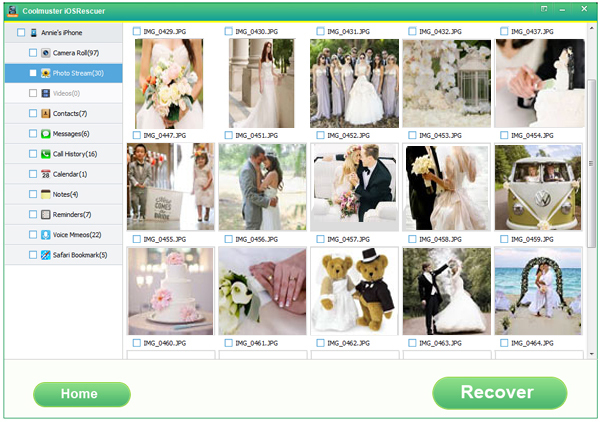 Finally, you can press the "Recover" button to begin the data recovery process. Launch the iPhone Xs Max/XR data recovery software and choose "Recover from iTunes Backup File" from the primary interface. 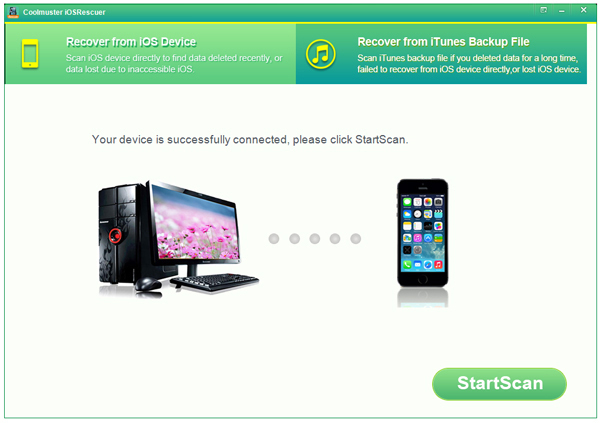 Then, the program automatically scan your computer to find out all iTunes backup files. Select the one for your iPhone Xs Max or iPhone XR and hit "Start Scan" button. After a quick scan, all the synced iTunes backup files will be extracted and displayed in categories on the left. Preview and select those you want to rescue and hit on the "Recover" button to save the recovered files on your computer.